Math can be a scary subject for students if they don’t build a friendly relationship with it. When we adopted our most recent school, Khatoon-e-Pakistan Government Girls School, we found that learning outcomes in Math were dismal across all grades. Class 9 students could not pass a competitively designed Class 3 level Math test. The gravity of the situation was also evident in the school’s board exam results in which only 18% of the class passed the Class 9 board exam in the academic year 2015- 16. This poor performance was mainly a result of inadequate teaching and poor teaching pedagogies in class. Concepts were not taught in class and students were encouraged to rote-learn answers to Math problems with no opportunity for independent work. Government school teachers themselves lacked knowledge and skills, and while they are being trained and mentored, changing their classroom teaching significantly is an unrealistic goal in the short-term. Excellent online instructional materials in English and Urdu: instruction videos, model solutions, guided practice, independent practice, and mastery assessments. We piloted this program with Class 6 students using the 30 computers in the one lab available at school and were impressed with the results achieved. EdeQUAL’s initial diagnostic assessment showed that most Class 6 students were not able to pass Class 3 Math. 80% of them scored below 40% in the baseline assessment and 40% students scored below 20%. We replaced the routine textbook-based Math lessons in Class 6 with EDeQUAL’s technology-enabled math instruction, starting from Class 3 level Math. 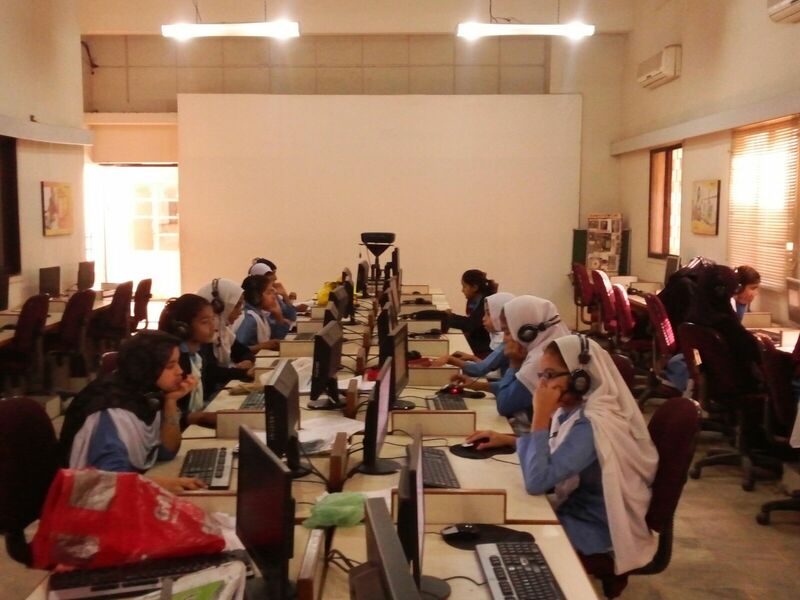 Math class moved to the school’s existing computer lab where students would hear lectures and complete personalised practice online. Their Math teacher now played the role of a facilitator. On average, students mastered one year’s worth of instructional material in 3.5 months. This means that in one academic year, students ca cover and master Math content for 2.5 grade levels. Since the results were so encouraging in just one term, we now want to introduce the EDeQUAL method of teaching Math to all students of Classes 5, 6 and 7. With the number of EDeQUAL’s learners going up from 80 in the pilot to a total of 230, we need more than just one lab that meets the program’s hardware and software requirements. Help us fund this proven and innovate way to improve our students Math skills.